AFTERBUZZ TV -X Factor edition, is a weekly "after show" for fans of Fox's X Factor. In this episode, host Jason Ikeler breaks down the episode in which the winner is chosen. There to help Jason are co-hosts Nick Collins, and Jeffrey Masters. Also joining them is Chris Trondsen. It's X Factor’s "Winner Chosen" podcast! […] The post X Factor S:3 | Winner Chosen E:26 | AfterBuzz TV AfterShow appeared first on AfterBuzz TV Network. AFTERBUZZ TV -X Factor edition, is a weekly "after show" for fans of Fox's X Factor. In this episode, host Jc Rubio breaks down the episode in which the remaining five performers are showcased. There to help JC are co-hosts Jason Ikeler, Nick Collins, and Jeffrey Masters. Also joining them is Chris Trondsen. It's X […] The post X Factor S:3 | Top 5 Perform E:25 | AfterBuzz TV AfterShow appeared first on AfterBuzz TV Network. AFTERBUZZ TV -X Factor edition, is a weekly "after show" for fans of Fox's X Factor. In this episode, host Jc Rubio breaks down the episode in which finalists perform. There to help JC are co-hosts Jason Ikeler, Nick Collins, and Jeffrey Masters. It's X Factor’s "Performance Show" podcast! Follow us on http://www.Twitter.com/AfterBuzzTV “Like” Us […] The post X Factor S:3 | Performance Show E:21 | AfterBuzz TV AfterShow appeared first on AfterBuzz TV Network. AFTERBUZZ TV -X Factor edition, is a weekly "after show" for fans of Fox's X Factor. In this episode, host JC Rubio breaks down the episode in which the acts perform with a live band. There to help JC is co-host Jason Ikeler. It's X Factor’s "Performance Show" podcast! Follow us on http://www.Twitter.com/AfterBuzzTV “Like” Us […] The post X Factor S:3 | Performance Show E:19 | AfterBuzz TV AfterShow appeared first on AfterBuzz TV Network. AFTERBUZZ TV -X Factor edition, is a weekly "after show" for fans of Fox's X Factor. In this episode, host Jc Rubio breaks down the episode in which finalists perform songs from the 1980s. There to help JC are co-hosts Jason Ikeler and Nick Collins. It's X Factor’s "Top Finalists Perform" podcast! Follow us on […] The post X Factor S:3 | Top Finalists Perform E:17 | AfterBuzz TV AfterShow appeared first on AfterBuzz TV Network. AFTERBUZZ TV -X Factor edition, is a weekly "after show" for fans of Fox's X Factor. In this episode, host Jc Rubio breaks down the episode in which finalists perform songs from the 1980s. There to help JC are co-hosts Jason Ikeler, Nick Collins, and Jeffrey Masters. It's X Factor’s "Top Finalists Perform" podcast! Follow […] The post X Factor S:3 | Top Finalists Perform E:15 | AfterBuzz TV AfterShow appeared first on AfterBuzz TV Network. AFTERBUZZ TV -X Factor edition, is a weekly "after show" for fans of Fox's X Factor. In this episode, host JC Rubio breaks down the episode in which the 12 finalists are selected. There to help JC are co-hosts Jeffrey Masters and Jason Ikeler. It's X Factor’s "The Four-Chair Challenge Round 2-4" podcast! Follow us […] The post X Factor S:3 | Top 12 Chosen E:11 | AfterBuzz TV AfterShow appeared first on AfterBuzz TV Network. AFTERBUZZ TV -X Factor edition, is a weekly "after show" for fans of Fox's X Factor. In this episode, host Jeffrey Masters breaks down the episode in which contestants compete for a slot in the Top 16. There to help Jeffrey is co-host Jason Ikeler. It's X Factor’s "The Four-Chair Challenge Round 2-4" podcast! Follow […] The post X Factor S:3 | The Four-Chair Challenge Round 2-4 E:8-E:10 | AfterBuzz TV AfterShow appeared first on AfterBuzz TV Network. AFTERBUZZ TV -X Factor edition, is a weekly "after show" for fans of Fox's X Factor. 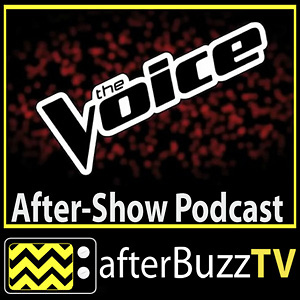 In this episode, host JC Rubio breaks down the episode in which contestant auditions continue. Hopefuls perform for the judges. There to help JC are co-hosts Nick Collins and Jason Ikeler. Also joining the conversation is special guest Alli […] The post X Factor S:3 | Auditions No. 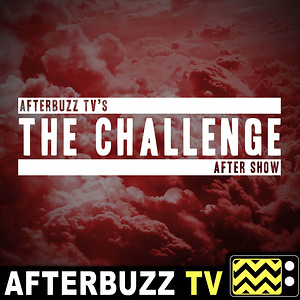 5 & 6; The Four-Chair Challenge | AfterBuzz TV AfterShow appeared first on AfterBuzz TV Network. 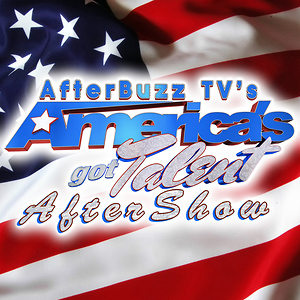 AFTERBUZZ TV -X Factor edition, is a weekly "after show" for fans of Fox's X Factor. In this episode, host JC Rubio breaks down the episode in which solo artists and vocal groups audition. There to help Jeffrey are co-hosts Nick Collins and Jason Ikeler. It's X Factor’s "Auditions No. 4" podcast! Follow us on […] The post X Factor S:3 | Auditions No. 4 E:4 | AfterBuzz TV AfterShow appeared first on AfterBuzz TV Network. 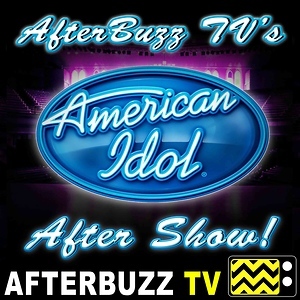 AFTERBUZZ TV -X Factor edition, is a weekly "after show" for fans of Fox's X Factor. In this episode, host Jeffrey Masters breaks down the “Auditions #1” episode in which auditions continue. Groups and singers audition. There to help Jeffrey are co-hosts Nick Collins and Jason Ikeler. It's X Factor’s "Auditions #2 & #3" podcast! […] The post X Factor S:3 | Auditions #2 & #3 E:2 & E:3 | AfterBuzz TV AfterShow appeared first on AfterBuzz TV Network.